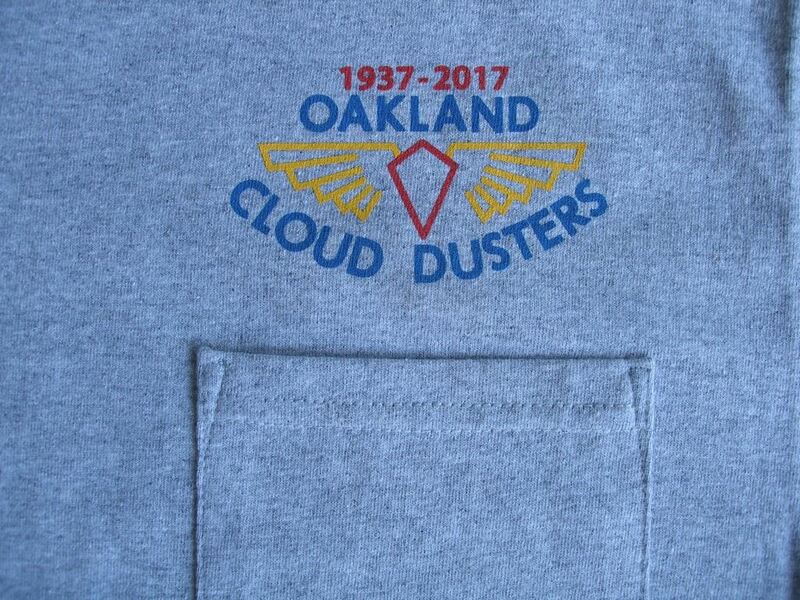 Oakland Cloud Dusters - OCD 80th Anniversary T-Shirts are here! OCD 80th Anniversary T-Shirts are here! 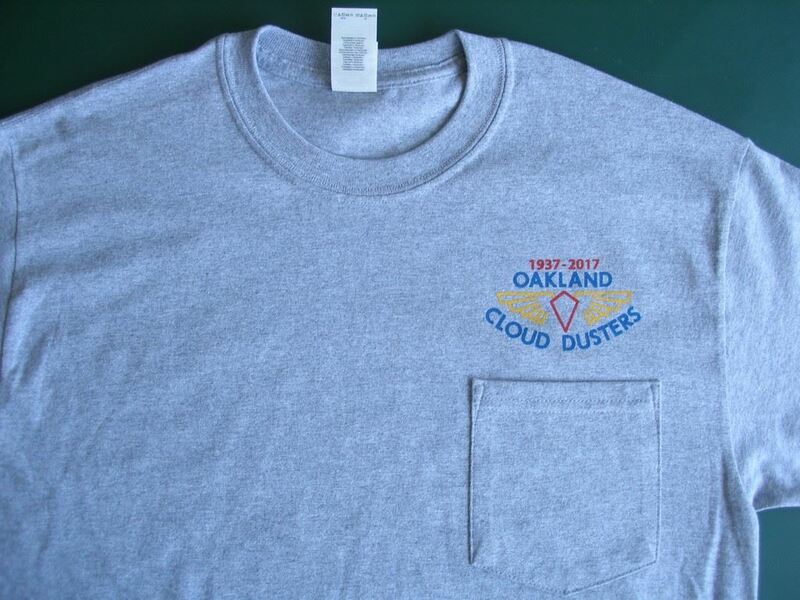 Bill Vanderbeek has recently produced OCD 80th Anniversary T-shirts and transferred them to Fred Terzian to distribute and collect payments for those who have not received or ordered them yet. We have around two dozen T-shirts left, and in Large (L) and Extra Large (XL) sizes. 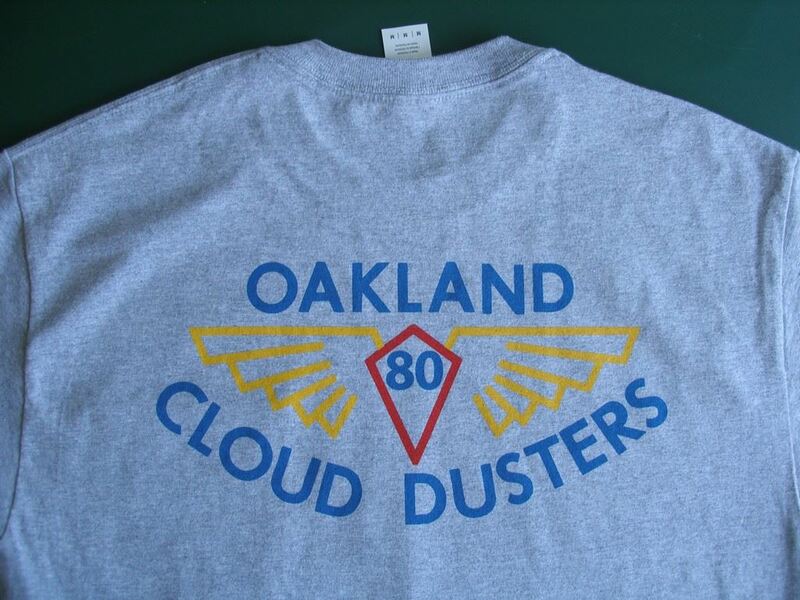 They are $15 each and payment can be made to "Oakland Cloud Dusters" and sent to Fred Terzian's address. Fred will have them available at the next OCD lunch meeting on May 18th. Photos are below.